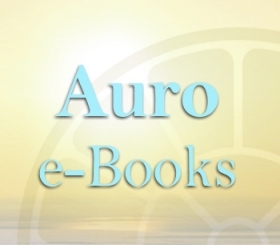 Auro e-Books is a Digital Bookstore/Library dedicated to e-books in the field of spirituality and well-being. The home of Auro e-Books is Auroville – an international township in South India, built with the goal of realizing human unity in diversity. The aim of Auro e-Books is to produce e-books on spirituality and well-being, promote authors in these fields and disseminate their works in digital formats both through its own e-book online website and through the network of other digital online bookstores such as Amazon, iBooks, Barnes & Noble and Kobo. The world today is redefining all fields of human activities. One of the most important is the printed word, which is now becoming the digital word: first on personal computers, and more recently on electronic devices such as tablets, book readers, and smartphones. Digital files on these devices are quickly replacing ordinary books. Digital devices as reading tools are now reaching a kind of perfection with recent state-of-the-art improvements in their technical functions, speed and conveniently portable forms. Contemporary digital devices, such as book readers (Kindle), tablets (iPad), and smartphones provide effective accessibility for reading and studying. With their small size and light weight, they can be carried anywhere and the availability of inbuilt or online dictionaries in many languages makes it easy to look up word definitions. A huge number of books can be stored on a small digital chip and instantly accessed. Thanks to these new technical developments, e-books can be used to facilitate spiritual practice and research. Spiritual seekers may not be well-informed about this new technology, and there are, as yet, relatively few existing e-books in the field of spirituality. Evolving book markets dictate the necessity to develop a digital area of book publishing, representing e-books of different digital formats. In recent years, we see significant developments in this sector as well as the increase of overall book sales and readers with digital devices throughout the world. 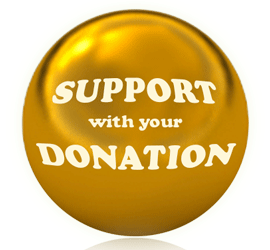 However, mainstream publishers tend to disregard books on spirituality, due to relatively less interest and less earnings from their sales. The aim of “Auro e-Books” is to create an international community and multilingual e-Bookstore/Library website which will aggregate e-books on spirituality and well-being, promote authors in these fields, and disseminate their works in digital formats both through its own e-book store and through the network of other digital bookstores such as Amazon, iBooks, Barnes & Noble, Kobo and others.